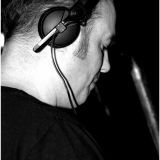 Guy is a forward thinking north east Dj and Promoter who runs successful night Passion as well as appearing regular at other top events such as Hed Kandi - Wiggle - Big Beat - 1989. A veteran of the local scene after almost 16 years experience which has also seen him play internationally in both the Netherlands and Ibiza. 2012 is shaping up to be another classic year with the announcement that Guy is to become the new resident for Middlesbrough&apos;s Dusted, one of the North East&apos;s most successful house night&apos;s which has been going around 15 years and attracts most of the leading player&apos;s of the scene.